Take your roasted NM green Chiles, peel them, then de seed them. 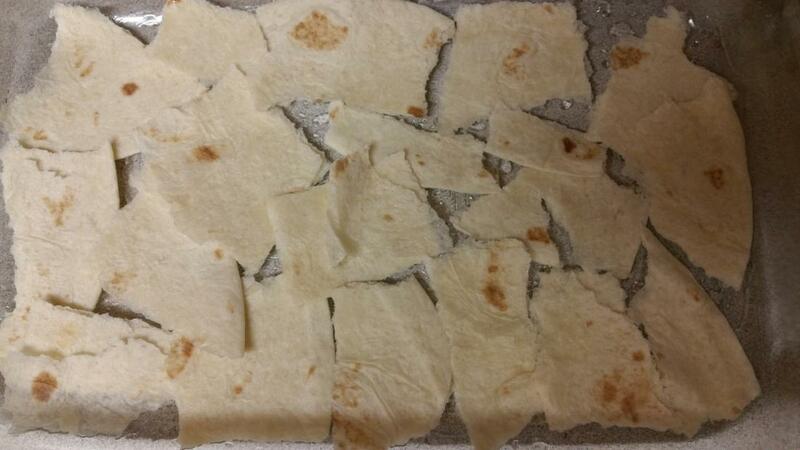 Grate some Oaxaca (Asadero) cheese, stuff them, then roll them up. 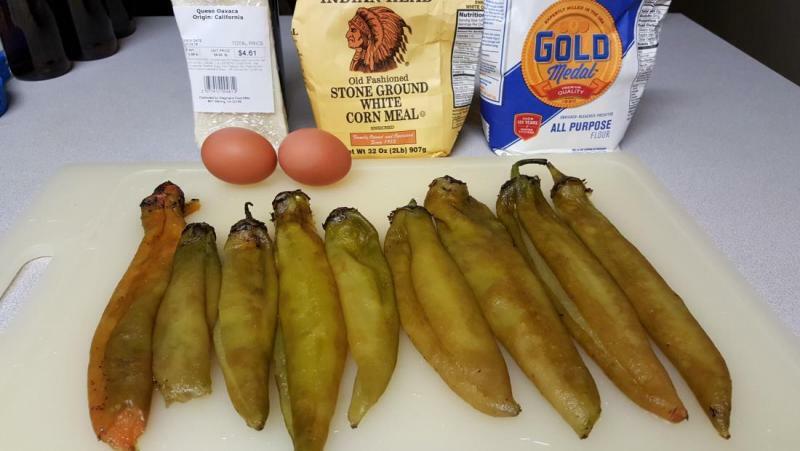 Whip up the eggs, dip the rolled stuffed chiles in them, then coat them in a 50/50 flour/corn meal mix. Deep fry the chiles til golden brown. 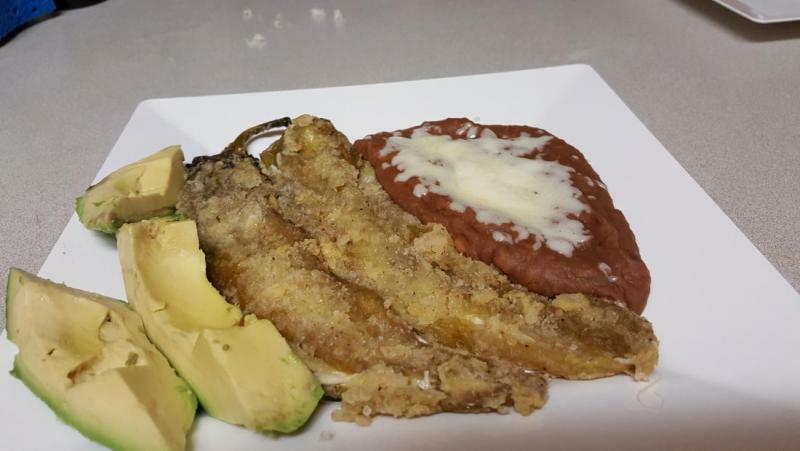 Serve with refried beans topped with the grated cheese, and some avocado slices. Edited by Thegreenchilemonster, 05 February 2016 - 01:07 AM. Usually I start this dish with a chicken, but since I had a duck carcass from dinner two nights ago, I started with a duck stock. Duck stock. 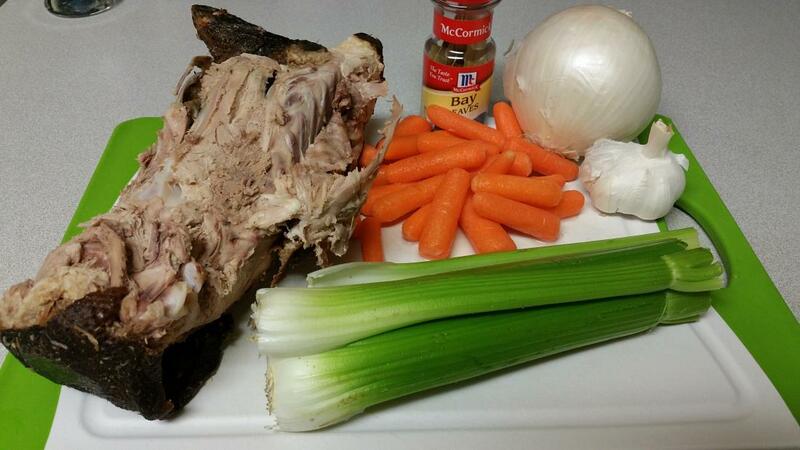 Boil your duck carcass for 2 hours with water, celery, carrots, garlic, bay leaves, and an onion. Strain off all of the broth, and discard the rest. 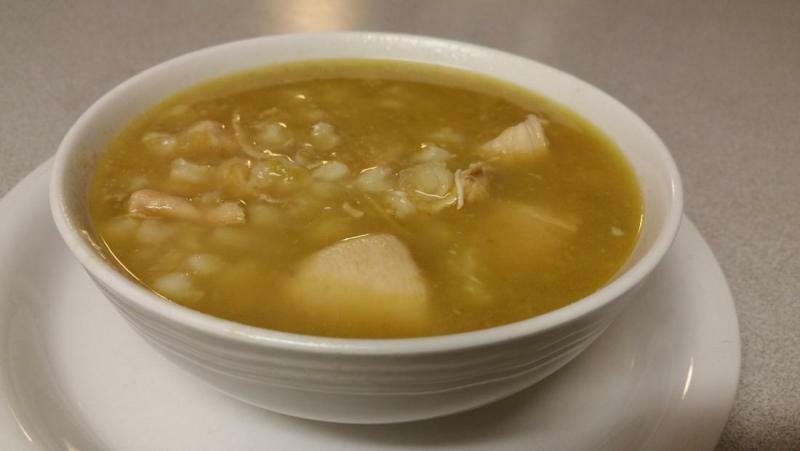 Cook up some diced chicken with garlic, onions, and some duck fat. Once the chicken is slightly cooked on all sides, add the duck stock. Simmer for 20 minutes, then add the roasted, peeled, deseeded, and diced NM green chile. Simmer for 20 more minutes, then add your prepped hominy. After 20 more minutes, serve in a bowl with a fresh tortilla. Edited by Thegreenchilemonster, 04 March 2016 - 09:16 AM. mmmmmm had me at duck stock! I can make some killer carne adovada. I'll be cooking that one in a couple weeks. I'll post up the recipe once I cook it, along with some pics. Edited by Thegreenchilemonster, 04 March 2016 - 09:49 AM. Boil the chicken stock, then add all of the dried pods. Make sure to deseed, destem, and wash the pods. Take the pot off of the boil, and let rest for 20 minutes. Once the pods have rehydrated, add the marjoram, coriander, cumin, and garlic. Blend this mixture very finely, and add it to the pot again, and begin slowly simmering. Add the honey and vinegar, stir slowly, until slightly bubbling. Set the sauce aside. Trim the pork shoulder of the fat, and cut into cubes. Make sure to trim off any huge pieces of fat in the process. 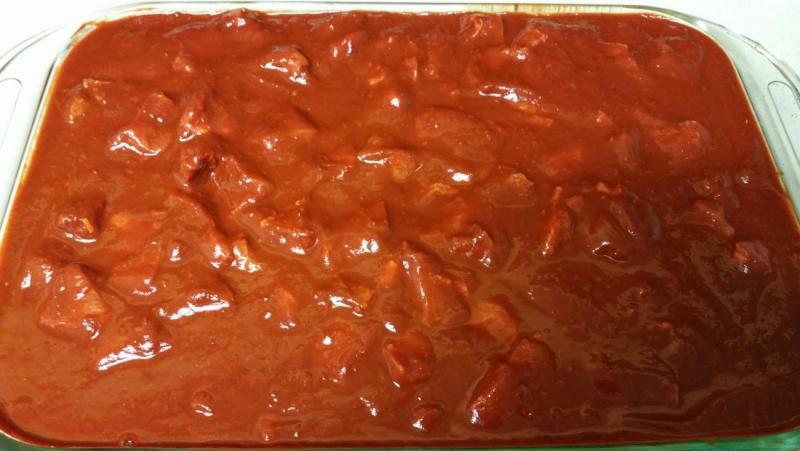 Once the cubes are ready, put them in a pyrex, or other large dish, then cover them in the sauce. 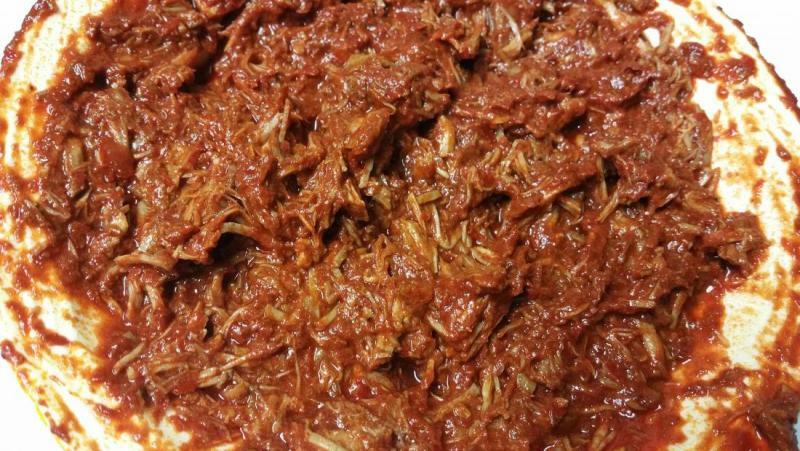 Stir until all of the pork is covered by the sauce. Cover the dish, and put it in the fridge overnight. The next day, preheat your oven to 300 degrees. Cover the dish with aluminum foil, then put in the oven for 2 hours. After the two hours, remove the foil, stir the pork, then put it back in for another one hour uncovered. 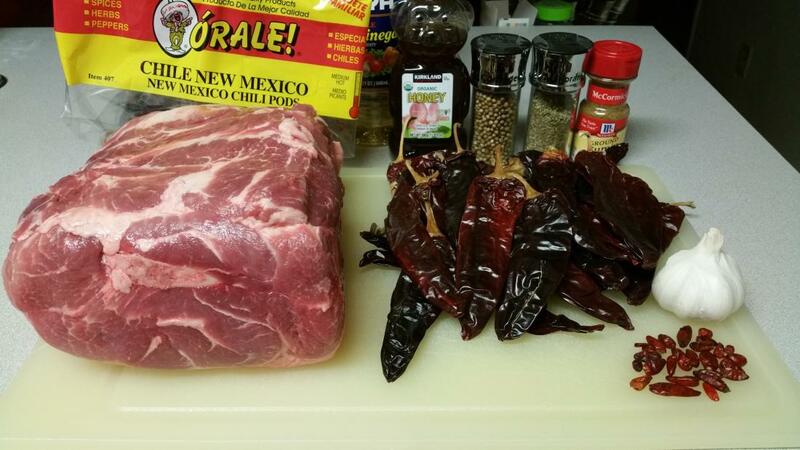 Remove the dish from the oven, stir the pork again, and serve with beans and a tortilla. I like to eat this fresh with a fried egg, but this isn't necessary. You can make burritos, tacos, enchiladas, tostadas, etc. with this carne adovada. Edited by Thegreenchilemonster, 22 March 2016 - 12:36 AM. 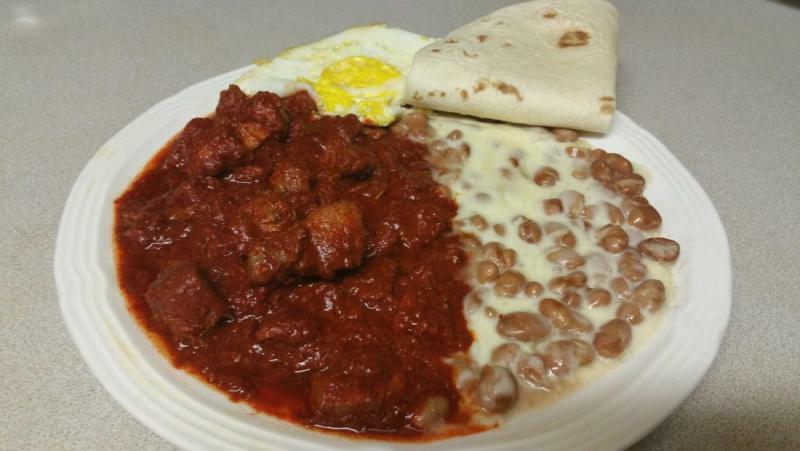 That carne adovada looks awesome. Such a simple recipe and the color is amazing. For that matter, all your recipes look awesome. I have a couple questions though, could you use fresh red hatch peppers instead of the dried ones? and why or why not? I am growing a few world record big jims this year and want to be able to enjoy them in as many dishes as I can find. The recipes you posted in this topic are going to be my go-to dishes once I start getting pods. Yes, you can definitely use fresh red chile pods. It comes out very well with fresh as well. I live on the East Coast ATM, so there are no fresh NM pods here. There isn't much, if any flavor lost though from starting dry. 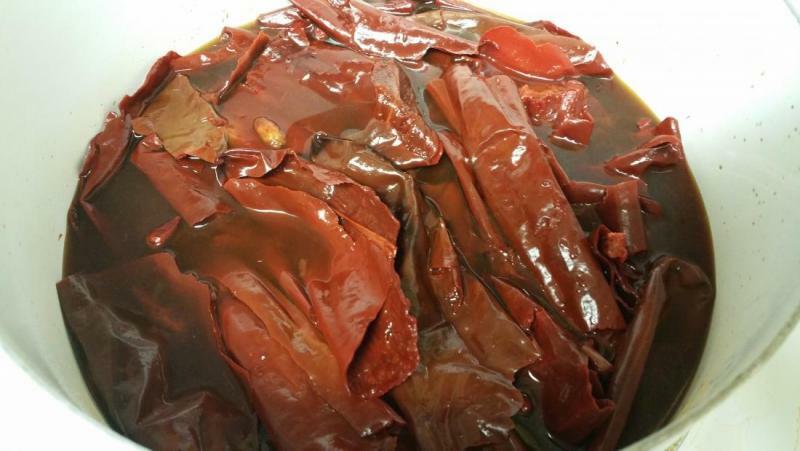 In southern NM during chile season, they use industrial sized juicers to extract the red chile juice from the pulp of fresh pods. 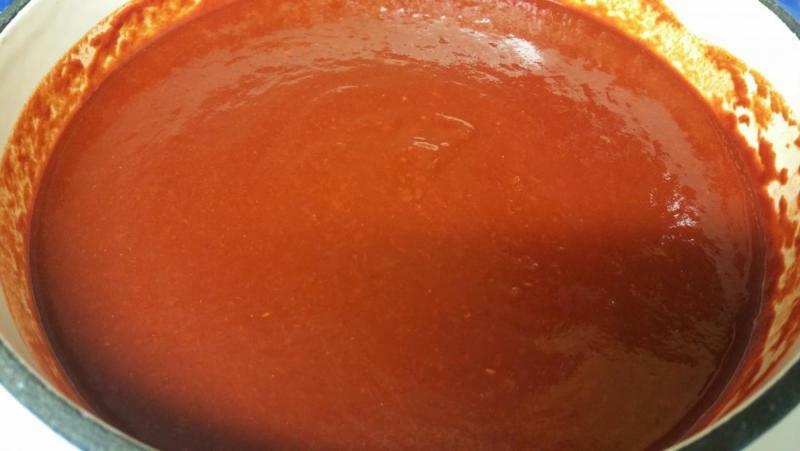 My mom, who lives in southern NM, always keeps tubs of that red chile juice in her freezer to cook with year round. I would definitely recommend flame roasting your green chiles whole, then bagging them and freezing them. The skin peels right off when you are ready to cook with them. Green chiles are typically eaten this way. 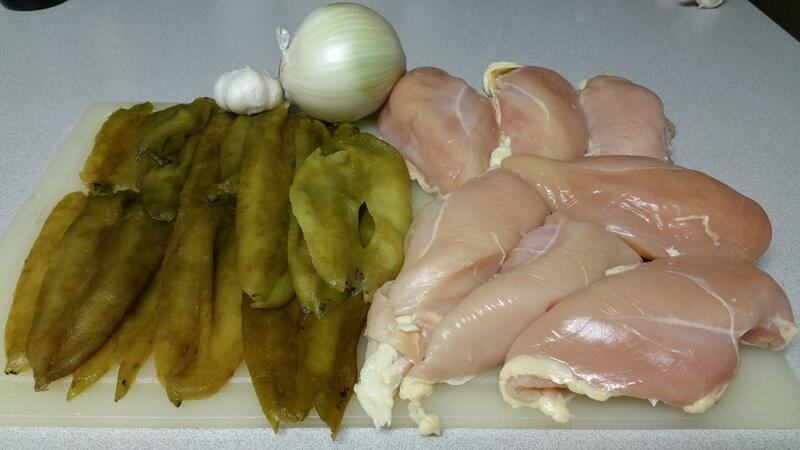 Although you can make dry green chile, or powder them, most people eat them roasted and peeled. Edited by Thegreenchilemonster, 22 March 2016 - 10:01 PM. 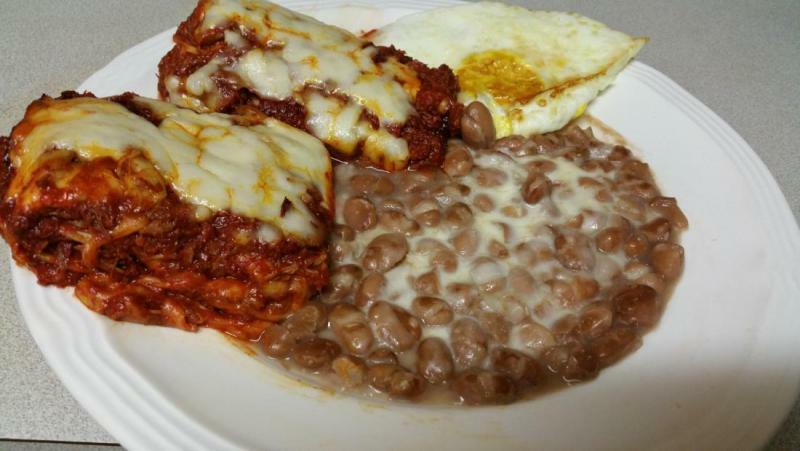 What do you do with leftover carne adovada? Make enchiladas, of course! The ingredients and recipe for this are so simple, I don't really need to list them. Shred your leftover carne adovada with a fork. Tear up 2 tortillas, lay them down in a casserole dish to form a bottom layer. 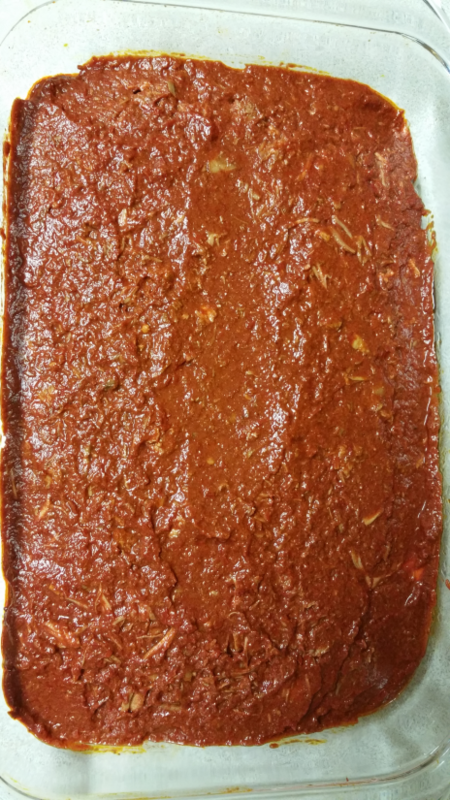 Add a layer of shredded carne adovada, then cover this with some of your sauce from the carne adovada. Sprinkle cheese over this. 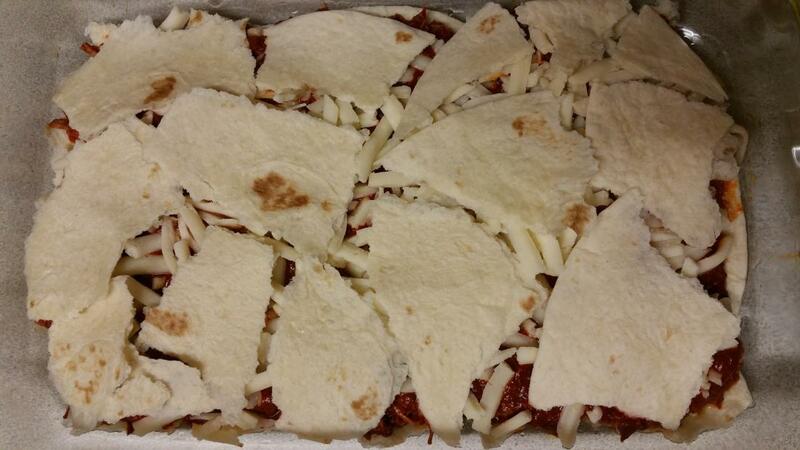 Make another layer of torn up tortillas, then cover with shredded carne adovada, then sauce. 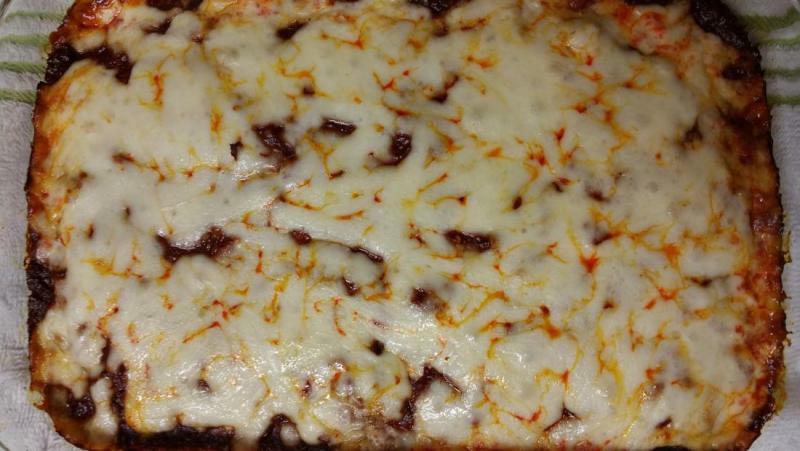 Using the bottom of a spoon, smooth out the top layer of the sauce, to make it even. 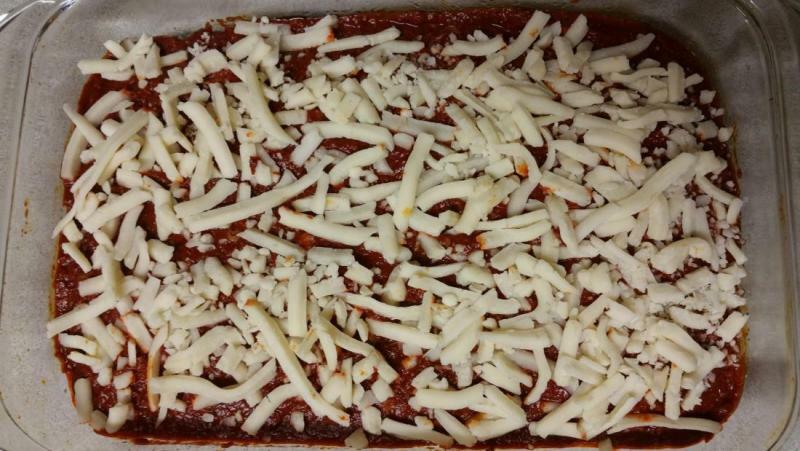 Cover with cheese, then bake at 350 degrees, until the cheese starts bubbling brown. Let it rest for 5 minutes, then cut it up, and serve.